Sometimes Business Intelligence is considered to be a four letter word. In Business Intelligence, people like me decide to create software that makes it possible for someone like you to query a database and obtain answers. There's just one problem. People like me are seldom able to define software tools that are desired and easily used by non-techies (with the notable exception of Google). Conversely, there's an emerging faction in Business Intelligence, a group of non-techies trying to create KPIs and dashboards and reports for the non-technical person. This may be a better approach, though most sophisticated questions cannot be answered using this approach, requiring folks to revert back to the "techie" issue. So as a result, many folks are exasperated by Business Intelligence. The modern catalog marketer doesn't care about tools or schemas. The modern catalog marketer simply wants to get questions answered, using any tool or database design that facilitates actionable findings. The modern catalog marketer is in the process of re-inventing the customer database. The modern catalog marketer does not outsource the customer database. Rather, the modern catalog marketer imports data from external sources, and spends the money necessary to maintain all important facts about the customer relationship. The modern catalog marketer extracts summarized data from the web analytics platform, and integrates that data with all other customer data. E-Mail Addresses, Many-To-Many Relationship (many e-mail addresses linked to many name/mailing addresses). The modern catalog marketer categorizes the top 2,500 referring URLs into micro-channels, and actively measures the evolution of referring URLs, mining actionable trends. The modern catalog marketer measures lifetime value, by micro-channel, updating the data on a weekly basis (at minimum), or in real-time (when appropriate). The modern catalog marketer utilizes rapid segmentation to classify customers on the basis of traditional marketing, digital marketing, or social marketing, and acts upon these classifications in a way that increases long-term profit. The modern catalog marketer knows, at a household level, the future percentage of demand that will be generated without the need for advertising of any kind. The modern catalog marketer will bring in temporary help to analyze key business issues, and will make every effort to institutionalize the business intelligence offered by the consultant. The modern catalog marketer will build a database of "prospects", and will happily maintain a relationship with folks who have not previously purchased. Acquiring e-mail address where possible. Acquiring phone number where possible. Storing "cookie-level" identifiers where possible. The modern catalog marketer has a dashboard of 100 mega-metrics that every employee is required to review at least once per week. The modern catalog marketer is led by a CEO that actively teaches employees which mega-metrics to track, and shares why they are important. The modern catalog marketer is led by a CEO that offers bonuses (not retention bonuses), on an annual basis, when various mega-metrics (i.e. annual customer retention rate) are substantially improved. The modern catalog marketer captures the "advertising combinations" that led to a customer placing an order, storing each combination in the database. The modern catalog marketer knows that there are too many advertising combinations and merchandise combinations to make sense of the business. 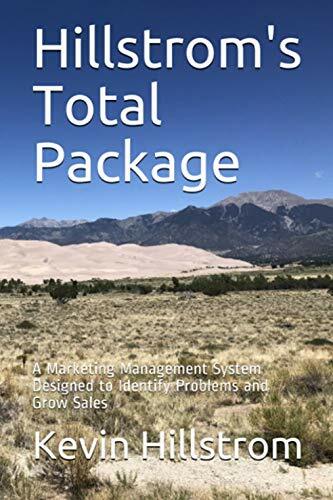 So, the modern catalog marketer utilizes tools like Factor Analysis / Principal Components Analysis to reduce multidimensional issues down to two simple dimensions. The modern catalog marketer knows the "ROI" of every advertising channel, by campaign/month/quarter/season/year, and can produce a report or summary within ten minutes if asked. The modern catalog marketer converts every customer service issue into actionable information that is stored in the customer database. The modern catalog marketer considers this information before making any circulation decision. The modern catalog marketer demands that anybody who presents customer information do so without using technical terms or acronyms. The modern catalog marketer integrates the Web Analytics team with all other analytical folks in the company, and requires all analysts to know all facets of business analysis. The modern catalog marketer can produce an RFM segmentation for any merchandise division or advertising micro-channel within fifteen minutes. The modern catalog marketer can produce a profit and loss statement for any merchandise division or advertising micro-channel or ad-hoc customer segment within fifteen minutes. This is done by actively storing all contact and cost information in the customer data warehouse. The modern catalog marketer can tell you what happens to the five-year sales trajectory of the business if any customer acquisition marketing activities are maximized or are discontinued. The modern catalog marketer has staff who use computers that utilize quad core processors. The modern catalog marketer doesn't have to work through the "IT" department to get more file storage space on a network server. The modern catalog marketer doesn't have to work through the "IT" department to purchase statistical or business intelligence software.